Back to school is an emotional and stressful time for both parents and children. Whether your child is heading back to school or not this time of year will likely mean changes for your children. Take the time and make the effort to make these changes as comfortable and easy for your children as possible. A child who is not going to school will still be affected by others who are doing so. It is important to recognize this time and to prepare your child for the upcoming transitions. All parents should take a close look at their children and make sure that they are prepared for this fun time. Make sure that you consider all your children, if you have more than one, and how they will see the changes in each other, themselves, and the nature of their days. Even if your child is too young to attend school, they will be affected by school age children who attend daycare with them, or by changes the family experiences when older siblings return to school. Your child has gotten used to the various ages of the children they are around all day and during the summer this is often with school age children. Young children who are too young for school look up to older children with interest and admiration. They, like their parents, are often role models. This is a great opportunity for the older children to help to show preschoolers how fun and exciting school can be. Then you can discuss with the younger children what they are looking forward to when they go to school. In order to get children in a back-to-school mood, they can play school together. This can be a fun game for all of them and has many benefits. It offers the older children a sense of pride to show the younger children at the daycare what they do in “big kid school”, and helps ease the transition from summer to school days. It also fosters some excitement in the younger children about what school is and helps to teach them a little about it. This is great so when the day comes that they go to school, they will not be as scared since they will have an idea of what to expect, and they’ll be excited to learn. Lastly, this will give the children some good quality time together before the older children are gone for the day and not at daycare. A remarkably important and vital milestone for all children is when they leave daycare and head to school. Even if they are in a preschool daycare environment, the change to Kindergarten is huge and should be handled with care. This is a time when you will set the stage for your child’s success throughout their scholastic career. Make sure to start on the right foot! 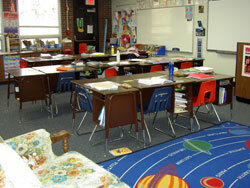 It is very important as a parent and a daycare provider to speak excitedly about school. Even if you were one of the many people who really did not enjoy school or if you struggled with it, it’s important not to portray school as something to dread. Implanting that idea into your children as they enter school is very detrimental. It is vital that you help your child get excited about school. They need to be excited about learning and hungry to learn new things. School is a time that will test your children so be sure to talk about it well before they start and to answer as many questions as you can. It may take days for your child to process the idea of going to school, spending so much time away from friends and those they know. You as a parent need to make a great effort to help them transition into the next stage of their lives and to set the groundwork for their success in school. This is a great time to play school with them. Go through the alphabet or count with them. Try to play games that are both fun and similar to those things they will encounter in school. They should be ready to enter school excited about starting. Bring these things up with your daycare provider as well. Make sure they know your upcoming school schedule and help you to prepare your child for school. By reinforcing this as a parent and as their daycare provider it will make this monumental transition from daycare to school easier and better for the child. 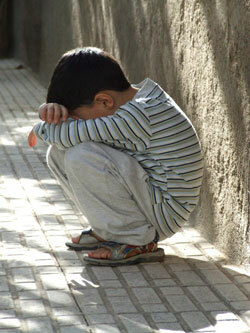 During this time, try to empathize with your child. This is a major transition, so they will need a little attention or a little more space to more easily adjust to the new situation. This will also help you as a parent see what they may need for you more easily. It can be hard to do this as a parent, but your children are growing up. Give them the room they need to grow. With children that have already been in school, this time is a bit easier for them. However, do not neglect to tap into their experience in school. They are likely going to the same school as some of the kids are that are just starting. Use these school age children’s knowledge to help you understand how school is today and to help those preschoolers that are becoming Kindergarteners. It can seem like the same old routine to those children that are already in school but parents need to remember the younger ones that aren’t in school as well. They may feel left out, alone or not as special as those who are heading back to school. So when you make plans for those children that are heading back to school also make plans for those children that are not going back to school. If you are going to go get back to school supplies for your older child, take your younger one as well and get them a few things. Make sure to talk to your school age child and see what they thought about last year. What did they like? Was there anything they weren’t too fond of? Use their answers to help them through the next year of school. Each child is different and it is up to you as a parent to get them excited and ready to head back to school. I suggest having the child tell the younger ones about school and what they liked about it. This will help give them a sense of importance and pride and this alone can help get them in the mindset for school. No matter if your child is very young or almost done with daycare, this time of year is one of great importance. They will undoubtedly encounter many changes in the next month or so. As a parent you are responsible for making this time as easy as possible for them. Use what you know as a parent to make these transitions as easy as possible. Make sure to talk to your daycare provider and give them any insight or ideas to them about what you want to do. This is a fun and exciting time for both parents and children so do what you can to make the best out of it for everyone. This will help to lead you and your child to another successful year!